I have contour lines (interval 0.1m), derived from a DEM (1m). I used the thinning ratio to find only features, which are like circles. I've imported these features into a Spatialite database. 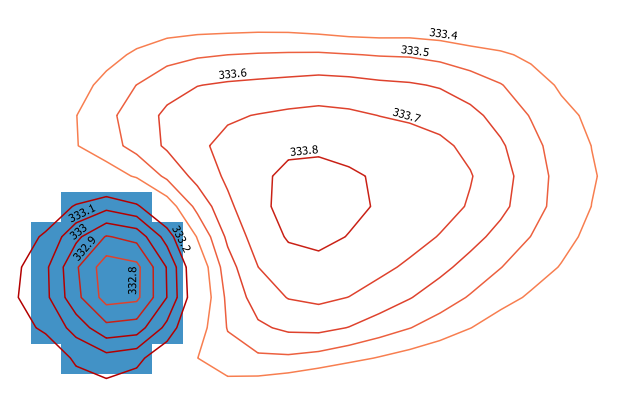 The image below shows two groups of contour features (there are thousands of them). The left one shows the contour features of a small depression, the right one of a small hill. My purpose is to find these feature groups, union them (or find the outer ring) and classify them to depressions and hills. My first idea is to use the ST_Contains function to check if there is a feature with smaller or higher elevation then the feature which overlays and wrap it into a loop. The other idea is to intersect them with a Depth in Sink raster (shown as blue in the image), processed with WhiteBox. The raster fills up sinks to a plane surface. The problem is that there are big sinks with both depressions and hills within. Solutions with Spatialite or Python are favored. I propose a solution with PyQGIS (probably not the most efficient one, but it should work for you). 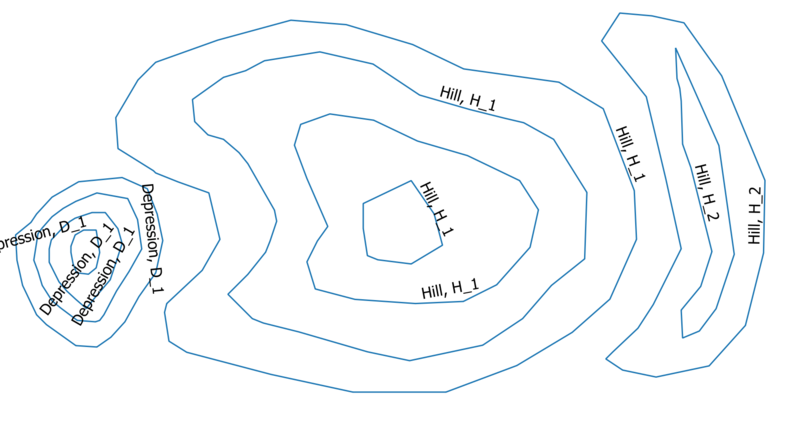 My idea is focused on the using of the QgsSpatialIndex() and the recurring to spatial queries: because of this, I temporarily convert the input contours to polygons and then do the opposite (the final output is a linestring layer again). Moreover, you didn't answer to my comment about the thinning ratio, so it isn't used in this solution (but it would be easily considered with a simple edit of the code). Not the answer you're looking for? 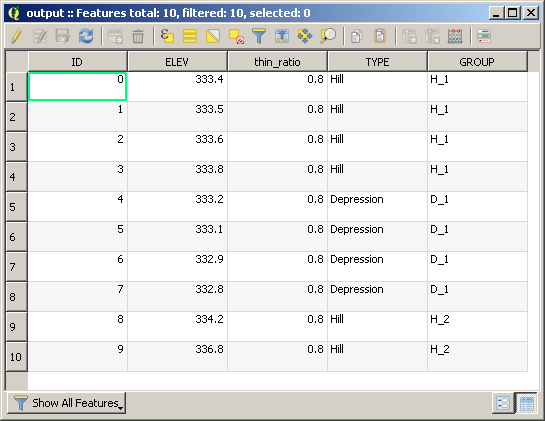 Browse other questions tagged python pyqgis spatial-database spatialite contour or ask your own question. Different result featureCount() on QgsVectorLayer QGIS 1.8 vs QGIS 2.0? 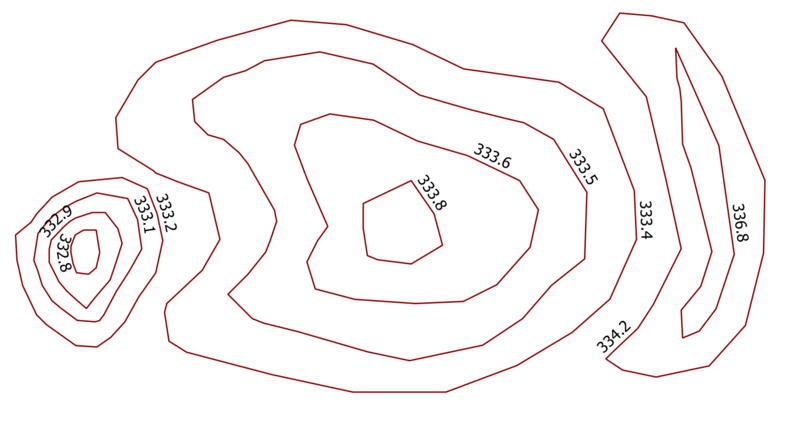 How to calculate the area between two contour line? Smoothing the contour line in Python?